Three years ago, if you would’ve told me I’d be going to an event alone in London I’d tell you that you must be having a laugh. However, I took the plunge and last week I went to a pretty amazing event at Amazon HQ. Before heading to their HQ I met up with Laura, Natalie, Becky, Natasha, Sade and Paige. It’s always great to meet other bloggers beforehand so it’s less daunting when you walk in! 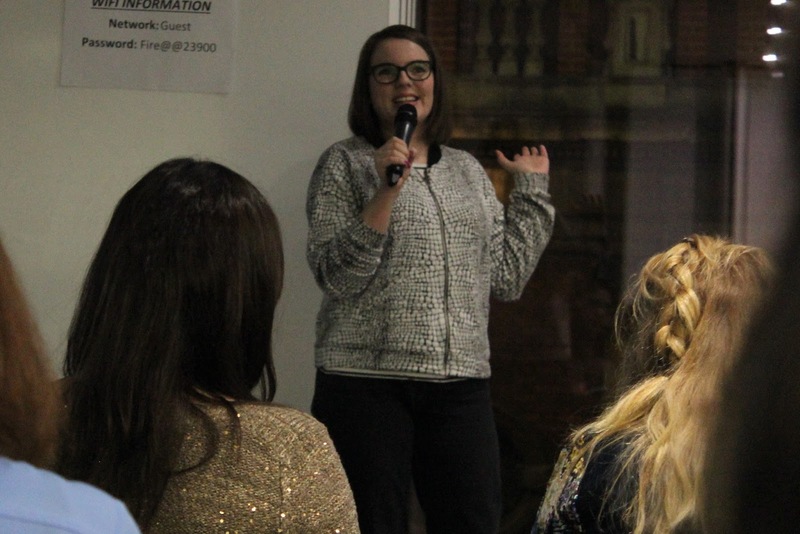 The event was an evening of talks from some very inspirational people, it made me want to rethink my whole blog. The first talk was from Ella from Coco’s Tea Party. 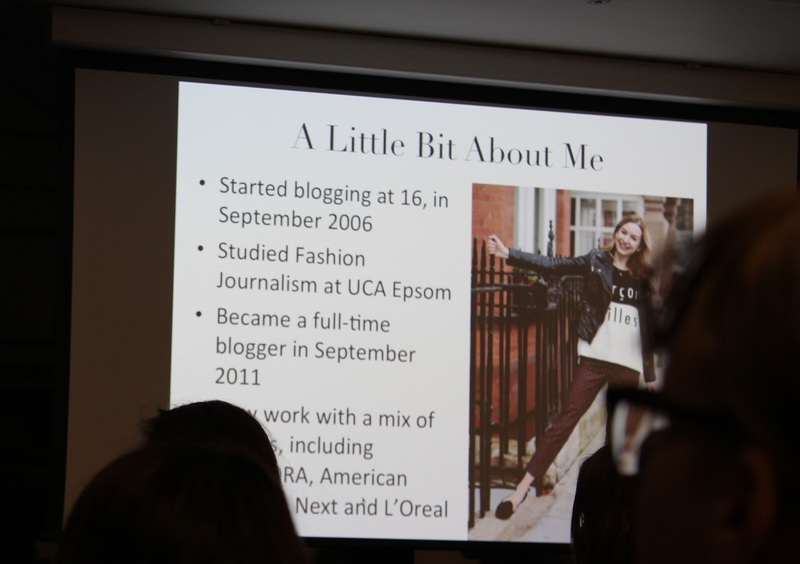 She did a presentation on how she became a full-time blogger which gave me some great tips. 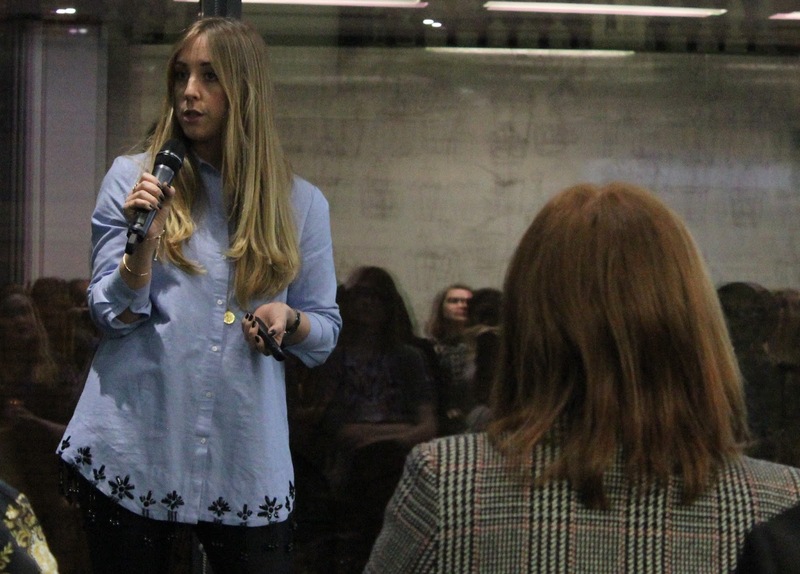 The next speaker was Gem, who is a digital writer for Cosmopolitan. Her talk was hilarious and I gained some really good advice from it all. She said we should come up with mantras that we follow for each blog post, one of which really stood out to me. ‘Would I share this?’ is a really good mantra to go by, if you wouldn’t share it yourself, why are you posting it? We then had a bit of a break for food and drink. I don’t eat meat (except chicken) but I thought the burgers were adorable so I had to photograph them. I think the food was a hit, everyone else seemed to love it – I just had a few custard creams! After a chat with the lovely group of bloggers I met before the event we went back into the room where the talks were being held. There was a talk on Amazon Fashion and it’s really interesting to see the advertising that they use. Some of the collections they’ve done are amazing and I’m sad that I missed out on buying them! Rachel Story from Hello! Magazine was next to speak and her talk made me want to style up ALL the clothes! Yes, all in the world. It also made me think about the way I use instagram, I think some of my posts now seem a bit too boring for my liking. Reena from Fashion Daydreams who spoke last, finally helped me understand affiliate marketing. I’ve been putting this one into practice the most since the event. Afterwards I had to rush off to get my train so didn’t get to stay and chat for too long, but nevertheless I had a wonderful evening. Thank you Amazon for putting on the event! Which talk do you think you’d benefit most from? Previous Post Sudocrem: A Revolutionary Beauty Cream?